Although the AngularJS and NodeJs Eclipse plugins provide nice helpers and views, they didn't provide (yet) the kind of UI that I was looking for. 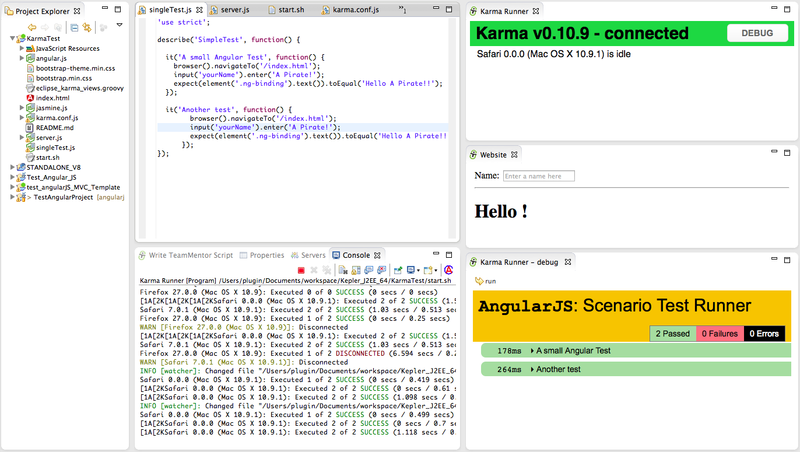 Namely they didn't support the use of KarmaJS to run AngularJS tests. But since I now have the ability to quickly manipulate and create new Eclipse views without restarting Eclipse (using the Groovy REPL script environment ) it was not very hard to create the UI that I wanted (see Eclipse Plugin that allows the execution of REPL Groovy Scripts (in the current Eclipse Instance) and Fluent API for Eclipse+SWT). 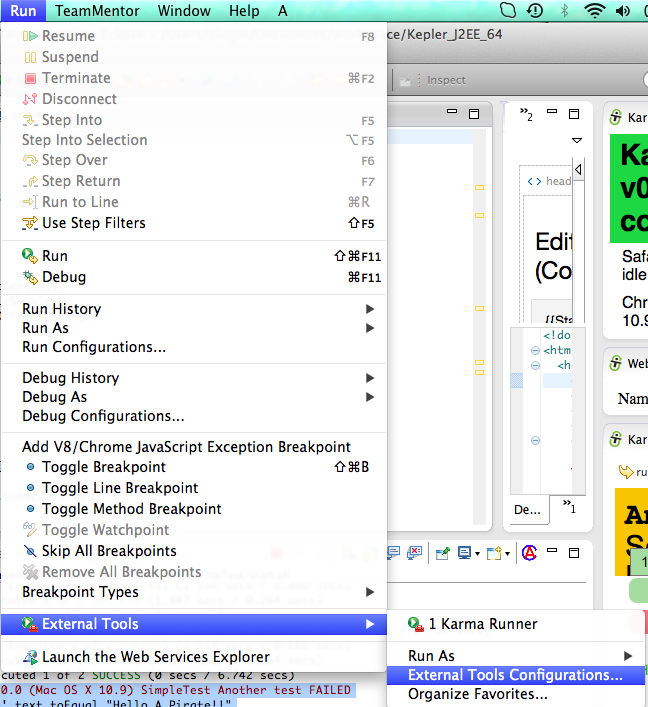 Create new view with a browser showing http://localhost:9879/__karma/debug.html (debug view of Karma runner), with an toolbar button to refresh it. Hopefully this Groovy script is easier to read (the idea of the Fluent API that I added to the Groovy REPL was allow the easy reading and understanding of scripts like this). 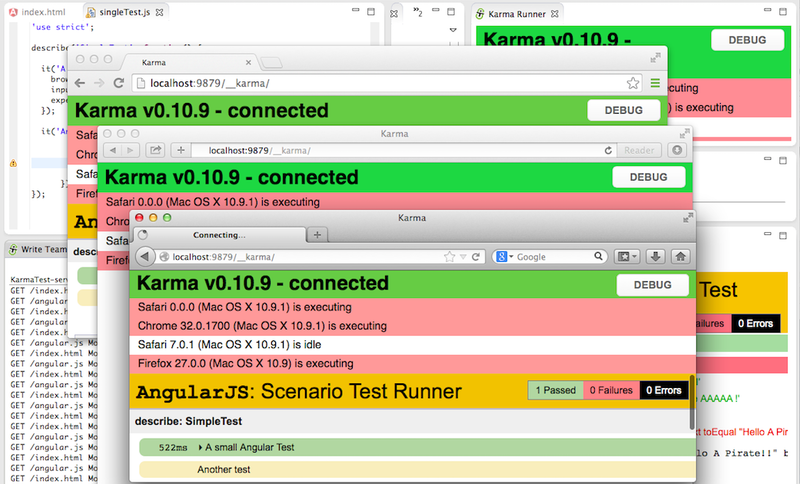 The AngularJS tests were executed when the Karma Runner view was opened, because the Karma process (configured via Karma.config.js) is set to wait for new browser's hooks/runners and (on connection or code changes) execute the configured tests. Here is the test that is currently being executed, which is an e2e test that runs on the browser (just like Selenium or Watin). 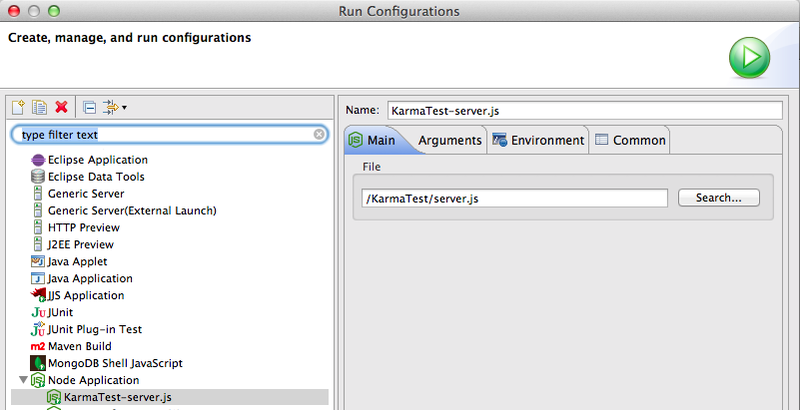 Immediately after saving the test with the changes shown above, Karma refreshes the hooked browsers in order to trigger the execution of the tests. 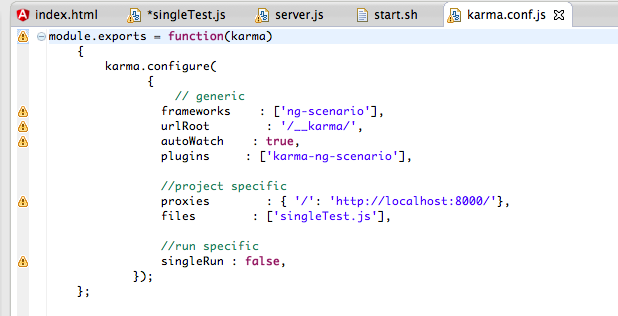 In order to run the tests in multiple browsers all we need to do is to open the http://localhost:9879/__karma/ page (in the target browser), and a test execution will be triggered. 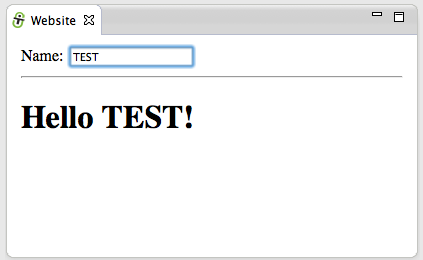 Just to make sure all is working as expected, let's create a test that will fail only in one browser. 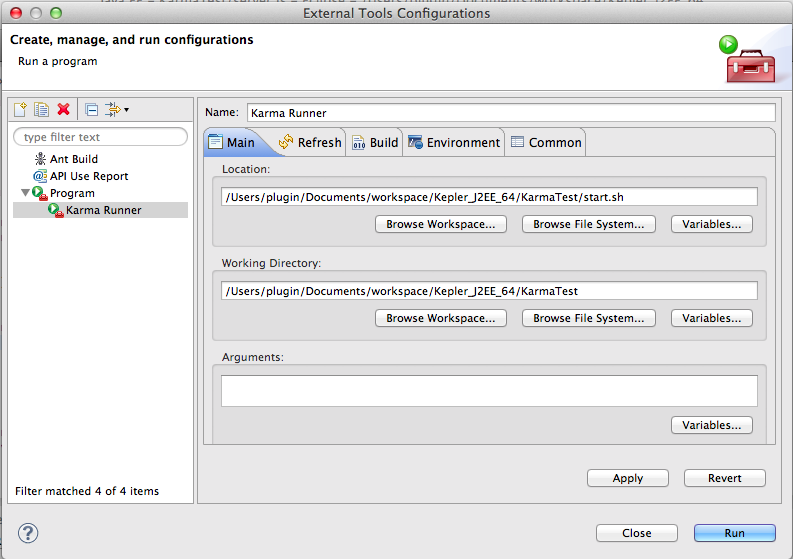 In addition to creating the views programatically, I also setup an Eclipse Run configurations for NodeJS and an External Tools Configuration for KarmaJS. 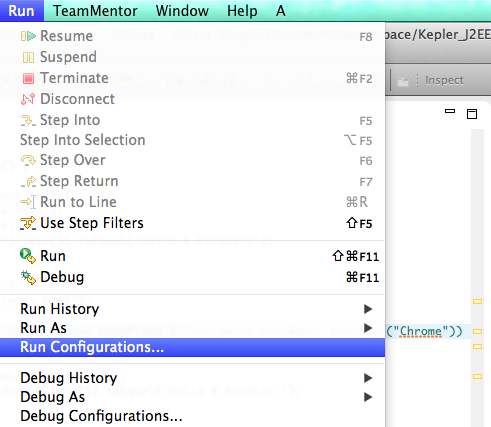 Test runners for AngularJS - how to run the tests from eclipse IDE and CI server without too much complication?